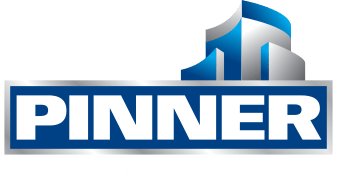 As a Project Manager at Pinner Construction, you will be working on exciting projects in a variety of market sectors, for a variety of clients, throughout Los Angeles county. As an official Pinner Ambassador, you will be encouraged to participate in and contribute to our culture of excellence, trust and quality. As a valuable member in shaping Pinner Construction’s future, you will aid in the development of adopting innovative processes and techniques in order increase the company’s momentum moving forward. Your primary goal will be to ensure the success of your assigned projects. While providing project oversight, administration and technical expertise, you will also oversee the project’s cost, schedules, safety and maintain ultimate client satisfaction on behalf of Pinner Construction. Take the lead on your assigned projects from the initial bid process to conclusive close-out and work to exceed client expectations and contribute to the overall value of the Company. Capable of performing Assistant Project Manager and Project Engineer responsibilities. Negotiate for subcontract cost-effectiveness and material purchasing. Implement and establish jobsite procedures to guarantee timeliness, shop drawing approval and material delivery logistics. Ensure that the project is kept on schedule through proper coordination and quality control. Foster and maintain relationships with the project Owner, Architect and various trade Subcontractors. Work in tandem with the Project Superintendent to develop and implement site safety plans and procedures. Report to management in a timely and efficient manner. Train and supervise the project team in accordance with Pinner Construction policies and Company culture. Plan and host project meetings with Subcontractors and management. Review contract terms and conditions throughout the course of the project. Document all project events and communicate them with management. Maintain the excellence of the project through overall quality control management. Complete project close-out and warranty follow-up. Hold either a Bachelor’s degree in Engineering, Construction Management, Business Management, Architecture or relative seven years industry experience.